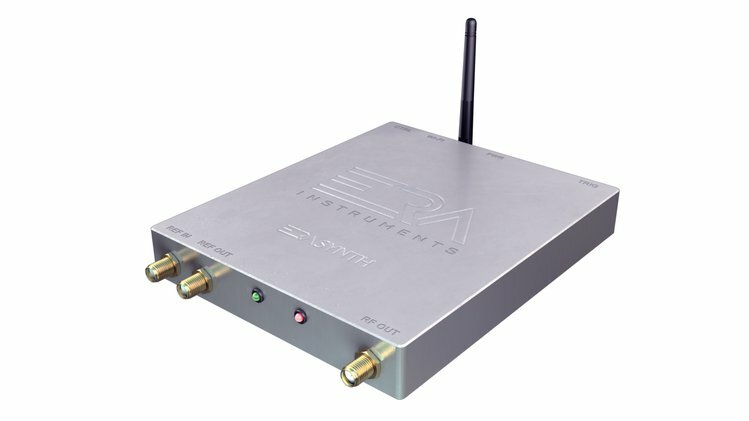 A young startup based in Istanbul has launched a crowdfunding campaign to bring its RF Signal Generator “ERASynth” into mass production. ERA Instruments is specializing in creating solutions in the areas of analysis, modelling, design and development of Communcation, RADAR and SIGINT systems. ERASynth is a portable analog signal generator that generates RF frequencies from 250 kHz to 15 GHz. The output signal is produced using an advanced multiloop PLL architecture to minimize the phase noise and spurious. 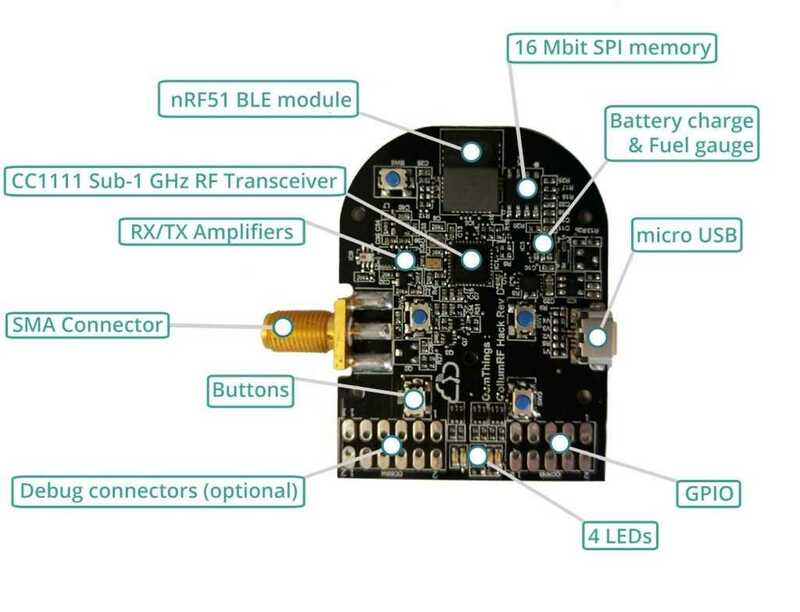 This clean signal can be used as a stimulus source for RF testing, an LO source for down-conversion or up-conversion, a clock source for data converters, and as a test signal source for software defined radio (SDR). Phase Noise: typical phase noise @ 1 GHz output and 10 kHz offset. -120 dBc/Hz for the standard version and -125 dBc/Hz the plus version. 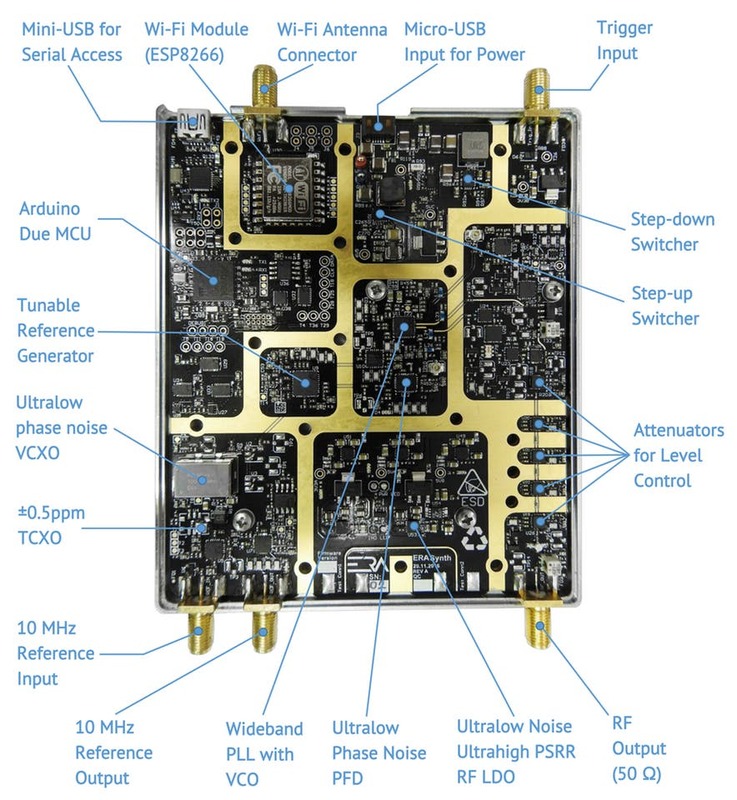 Reference: Ultra-low noise 100 MHz VCXO locked to a ±0.5 ppm TCXO for standard version and ±25 ppb OCXO for the plus one. ERASynth is only 10 x 14.5 x 2 cm sized and it is consuming less than 7 Watts. It can be powered by a cell phone power-bank. 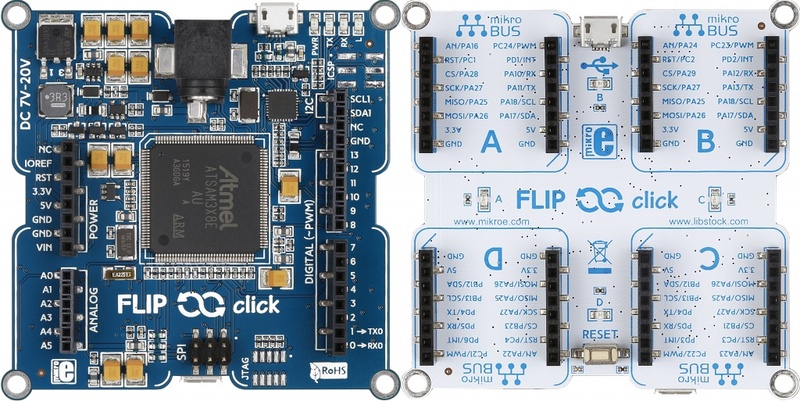 Inclusion of an on-board Wi-Fi module and an open source web GUI makes ERASynth ideal for portable applications. 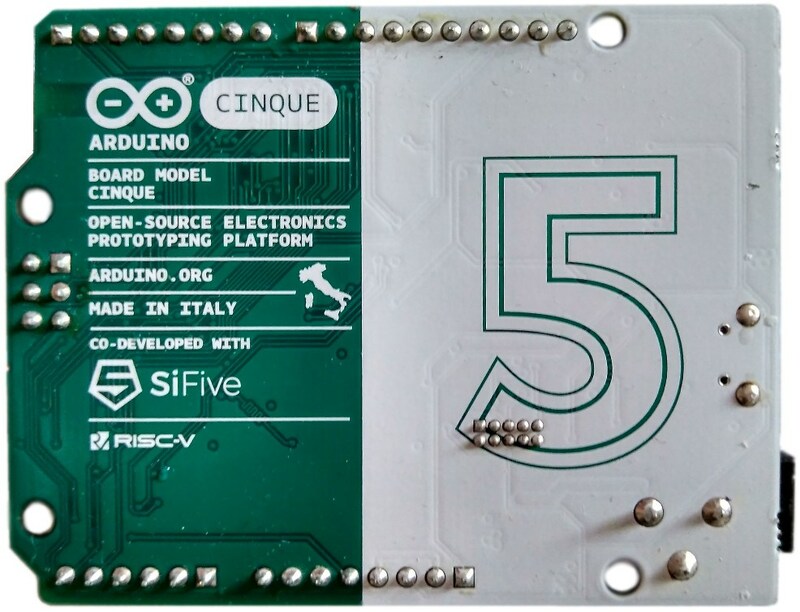 Also its price make it affordable by everyone including makers, students, universities, research labs, and startups. 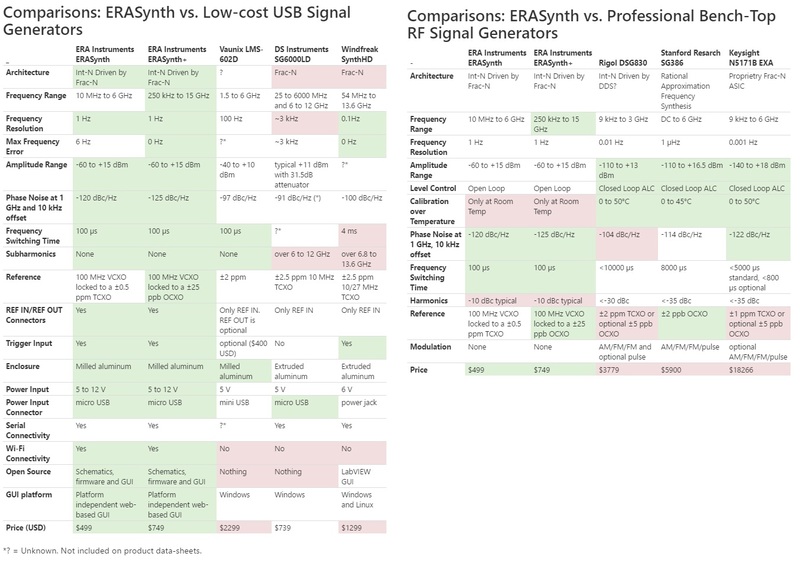 Compared with other low cost USB signal generators, ERASynth provides better features in many factors. It also delivers similar functionality of the professional RF signal generator with lower price. The tables below demonstrate the comparison. The crowdfunding campaign on Crowd Supply will be closed by tomorrow, they raised about $35,000 of $25,000 goal. You can order your ERASynth for $500 and ERASynth+ for $750. More technical details are available on the campaign page.